Throw back Thursday!! Mary, 6 years old, reading at Mass! Came across this picture on my profile and am so proud of the young lady she is becoming. 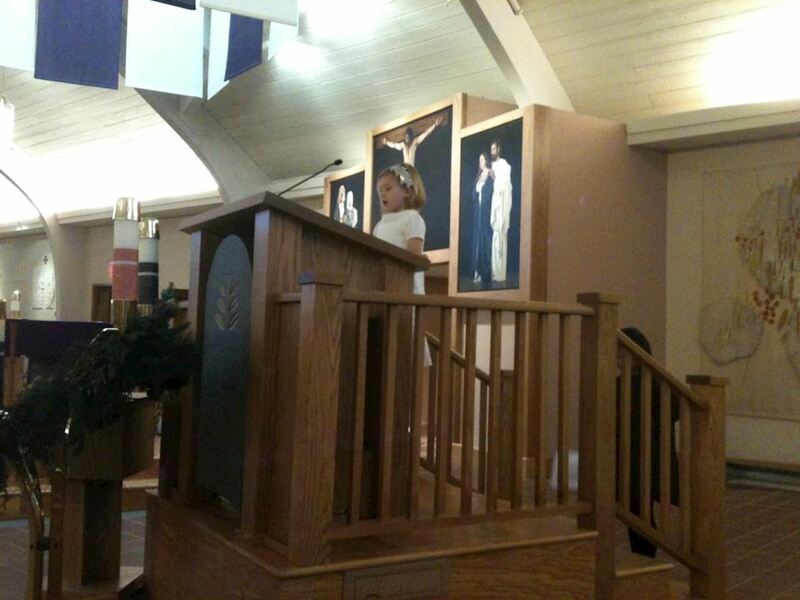 She read the lesson at mass that Sunday and did a wonderful job! Time please slow down, but we are blessed beyond belief.